ABIN190760 (0.1µg/ml) staining of Human Liver lysate (35µg protein in RIPA buffer). Primary incubation was 1 hour. Detected by chemiluminescence. 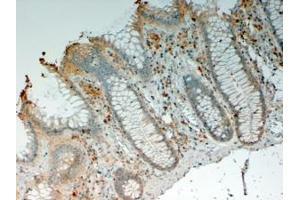 ABIN190760 (0.3µg/ml) staining of Human Liver (A), Skin (B) and Tonsil (C) lysate (35µg protein in RIPA buffer). Primary incubation was 1 hour. Detected by chemiluminescence. 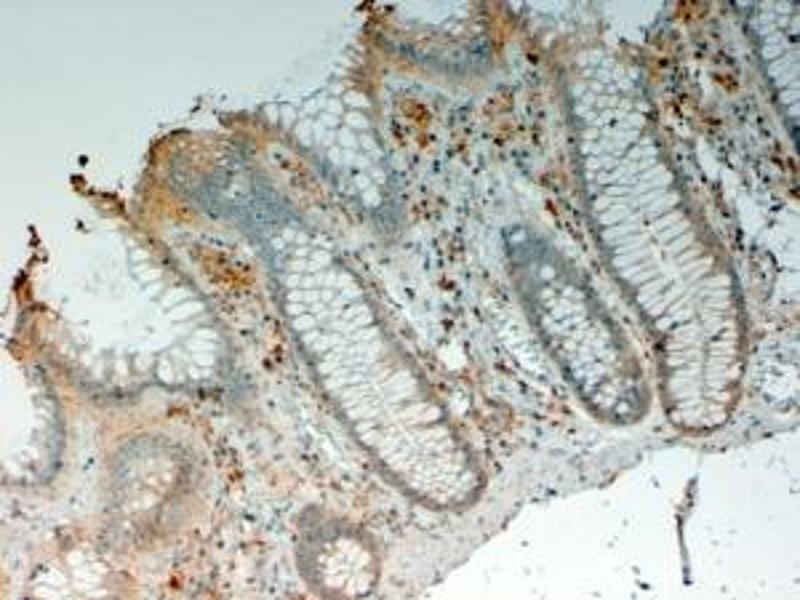 ABIN190760 (4µg/ml) staining of paraffin embedded Human Colon. Steamed antigen retrieval with citrate buffer pH 9, HRP-staining. Data obtained from previous batch (goat). 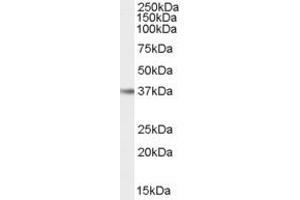 Immunogen Peptide with sequence C-QGKSKREKKDRVFTD, from the internal region of the protein sequence according to NP_002178.2. DS WB Results: Approx 37 kDa band observed in Human Liver, Skin and Tonsil lysates (calculated MW of 37.2 kDa according to NP_002178.2). 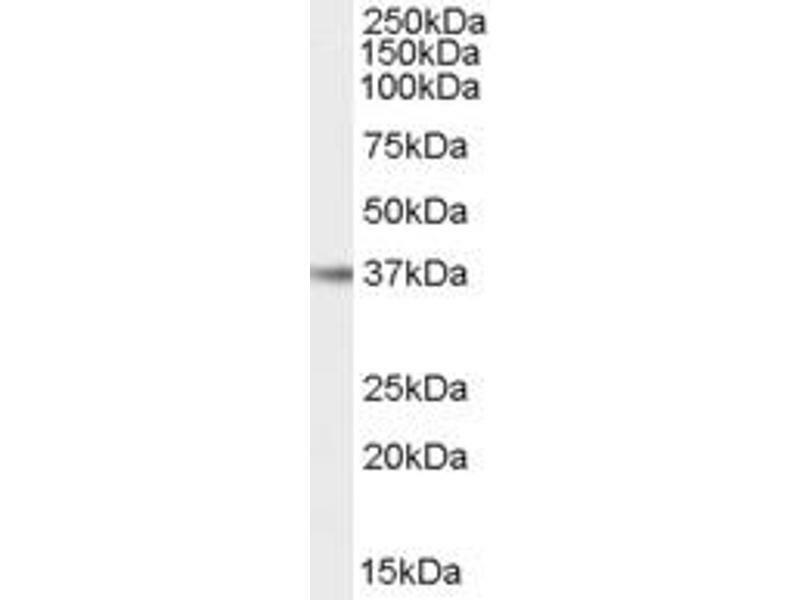 Recommended concentration: 0.3-1 μg/mL. Primary incubation was 1 hour.